Maybe it's because I've had tons of cake orders lately or that I'm back in training for a race and cut down my sugar intake but I've got cake on the brain! After a couple months of mostly healthy posts now I'm hitting you with two delicious cake recipes in the last few weeks. If you missed the first one- Chocolate Mug Cake in the Microwave- you might want to check it out too. 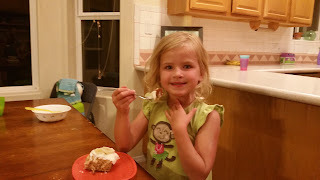 Over the summer my girls each took a few turns making dinner and of course they wanted to make dessert too! 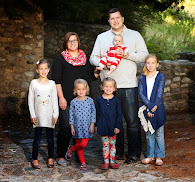 Mayzie decided to make one of our favorites. 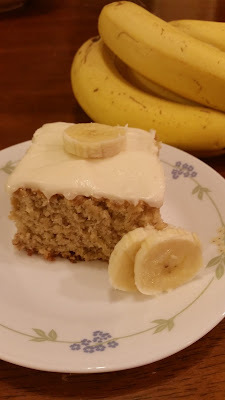 Banana cake! It's so quick and moist and delicious with a little cream cheese frosting. I make it in a 9x13 pan for our family but it also doubles easily and fits in a large sheet pan for gatherings. 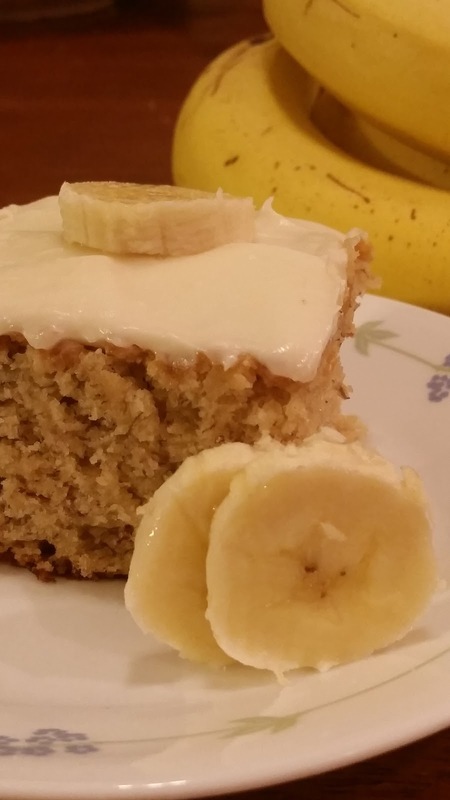 The next time you find yourself with some old bananas that need used up give this one a try. For the cake- use a stand mixer to cream together the sugar and butter. Mix in sour cream and eggs (one by one). Scrape the side of the bowl to make sure everything gets combine well. Add banana and vanilla. Add remaining cake ingredients slowly and mix together until incorporated. Bake in a 9x13 baking dish for 34-35 minutes or until a toothpick can be inserted into the center and come out clean. You can also check for doneness by pressing in the middle and seeing if the cake springs back. When it does it finished. Meanwhile make frosting by combining all the frosting ingredients until whipped and creamy. Set aside. Cool cake completely and frost. If desired, serve it topped with fresh bananas. Enjoy!